We expected a difficult game at Aston Villa because it's always tough when you play away after a Champions League game. Villa fought very hard and they had some chances as well, but I thought we controlled them quite well. I think we had room to win the game but we lacked a little bit of accuracy in our final ball. I cannot fault my team for the spirit they showed for 90 minutes but it's true that we lacked a little bit of sharpness in the final third. We had many shots but not many on target and you could see that physically we were a bit jaded. 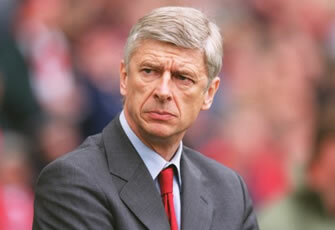 That is because we had a difficult week with tense games against Tottenham and Montpellier. It's not unusual to draw after a midweek game in Europe. It can happen - and not everyone will go to Villa Park and win. Jack Wilshere has played three or four games in quick succession so I decided to give him a breather on Saturday. It's a relief that he's had no setback since he came back. He had a little inflammation but I think the rest will help him to get rid of it. Apart from that, he's done very well. He's not played for 17 months, people forget what that means - it's massive. I'm very happy with the way he progresses. I took Olivier Giroud off towards the end of the game because he had given everything and was tired. Like Jack, he has played a number of games recently. Alex Oxlade-Chamberlain started the match and he was dangerous in patches. He lacks a bit of physical fitness but he gave his all. He's learning his job, he's a very talented young boy and I believe he will be a great player. Our next game is on Wednesday at Everton and we will have to be focused and determined to win there. I believe we can do it.